Musicians are the glamorous, decadent icons of music scenes in towns all across this great land of ours. From wanna be Kurt Cobains taking their first steps onto the boards to gnarly old rockers belting out AC/DC covers for their drunk mates in the pub – everybody loves those exciting boys and girls with guitars. But, at the very heart of any vibrant music scene are people we never see. One man who’s been works tirelessly behind the scenes in Wakefield is Wayne Poppleton. 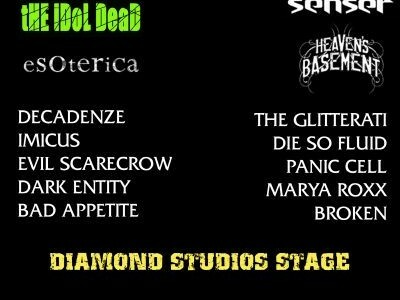 He’s a promoter and usually works in the pubs and clubs where underground music writhes and thrives its way out and into local people’s hearts, but for 2010, Wayne has decided to knock things up a gear by organising Wakefield’s biggest ever rock festival. And he, along with his dedicated team, are doing it all in aid of Wakefield Hospice. We caught up with him to find out when, why and where it was all happening. S] Hi Wayne, How long have you been promoting for then? W] About six years all-in-all. I feel really passionately about the music scene in Wakefield, so I do what I can to promote the bands that I feel deserve recognition. I put gigs on locally, take bands out of the city to far-flung areas of the country and also put bigger “name” bands on in Wakefield, with local supports, to give smaller bands a bit more exposure. S] What gave you the idea to get the rock festival on the go? WP] Well, as I said, I like the idea of giving local bands the exposure they deserve. Wakefield is a city on the move, but we aren’t really known for anything more than Rugby, High Security Prisons and Rhubarb! I want other people to see the wealth of talent on offer here in the north, and try to put Wakey back on map, like it was in the 70s and 80s. The whole idea is bigger than music though, that’s why it’s in aid of the Wakefield Hospice – we want to generate a real community spirit, get everyone involved and raise loads of money for a good cause! S] Who did you ask first, band-wise? S] How easy was it to contact “name” bands like Glitterati, Pitchshifter and INME? WP] It’s very easy to get in touch with big bands through agencies and stuff. What’s hard is getting your idea across. Obviously, as this is for charity, we don’t have an un-limited budget, and we didn’t want the tickets to be so un-affordable that it put people off. We had to get that idea across to the bands we approached, which wasn’t easy. Not because the bands are un-responsive, it’s just the agencies deal with so much stuff you can get lost in it all, as it were. But, we persevered and, to be honest, all the bands we have on were super-helpful and very gracious. S] You have a lot of local bands on, is this a move to try get away from more “corporate” festivals? WP] Yes and no. We don’t have anything against those types of festivals, it’s just we have a different ethos. We want to make money for the Hospice, sure, but we also want to create a sense of community and bring people together. That’s why we emphasise to the bands and anyone else involved, that this is their festival too. We need their help, feedback and ideas – and hopeful that’ll create an event everyone can enjoy and feel proud of. S] What have been your biggest obstacles? WP] I approached a lot of local promoters at first, some ‘um-ed’ and ‘ah-ed’, some were really negative. They said it’d cost to much, no-one would come, and I was mad. But, another promoter Jim Cameron of the band 9 Plan thought it would be a good idea, and do-able, so he pledged his support so, then we put our seven-person team together and got down to business. A big problem with a festival is cost. You can pay up to £18,000 just to fence the area off, then there’s licensing, insurance, security, first aid and allsorts. We had the idea to use a football ground, (Ingfield, Ossett Town Football Club) so a lot of that is already in place! 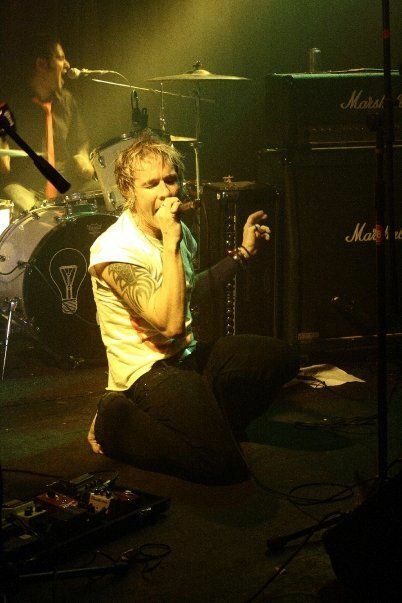 Which meant we could concentrate on promo, stages and, of course, the bands! S] Do you hope to make this an annual event? WP] Yes, yes we do. The idea is to have a big debrief afterwards, talk to all the bands, look at feedback forms and keep everyone involved. We’ll see what we did right, and what we did wrong, and move towards a bigger, better festival next year. As I said, it’s all about creating a community vibe, not just between the bands themselves, but also with the rest of the people who live in Wakefield. We think this festival will be great for the city, great for the bands and great for Wakefield Hospice. We just need people to support us. Either by buying tickets or helping out in some way. We’re giving a little back to the city we love, and that can’t be a bad thing can it? As you can see, Wayne really is passionate about live music, and its place within the community. Music is, after all, a very primal way of bonding with people, simply put – it brings us together. Indeed, whether it’s 15,000 people watching the latest boyband at Sheffield Arena, or 50 crammed into the Snooty Fox watching the future of rock n’ roll take its first tentative steps towards fame. 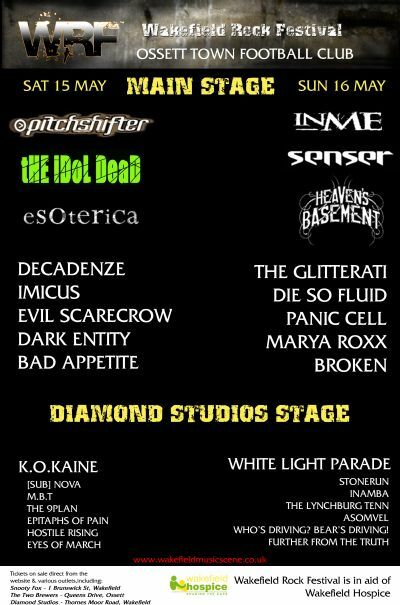 Wakefield Rock Festival takes place over the weekend of May 15-16 at Ingfield, Ossett Town Football Club. Tickets are £35 for two days, and £22 for one day. To find out more visit the official website.